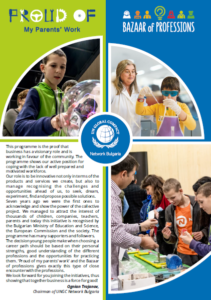 In our latest brochure, you will find detailed information about our programmes ‘Proud of my parents’ work’ and the Bazaar of professions, who they are intended for, what you will earn from your participation, and how to get involved in 2019. ‘Seven years ago we were the first ones to acknowledge and show the power of the collective project. 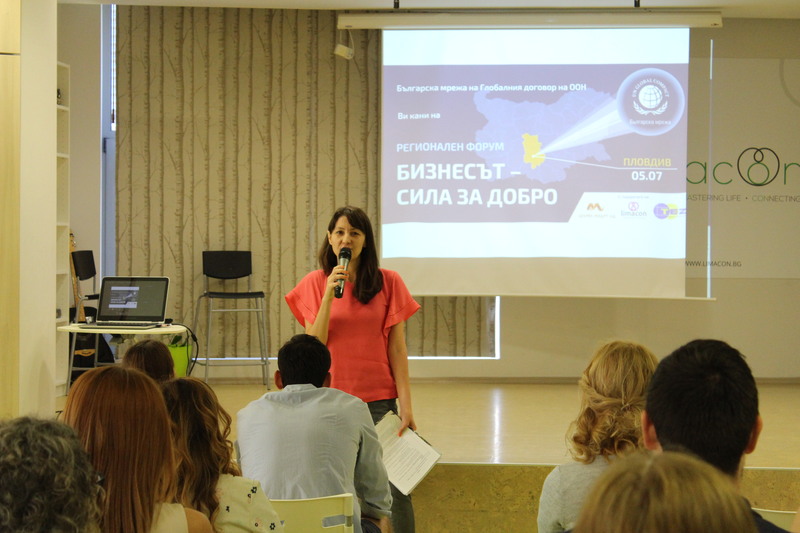 We managed to attract the interest of thousands of children, companies, teachers, parents and today this initiative is recognised by the Bulgarian Ministry of Education and Science, the European Commission and the society. 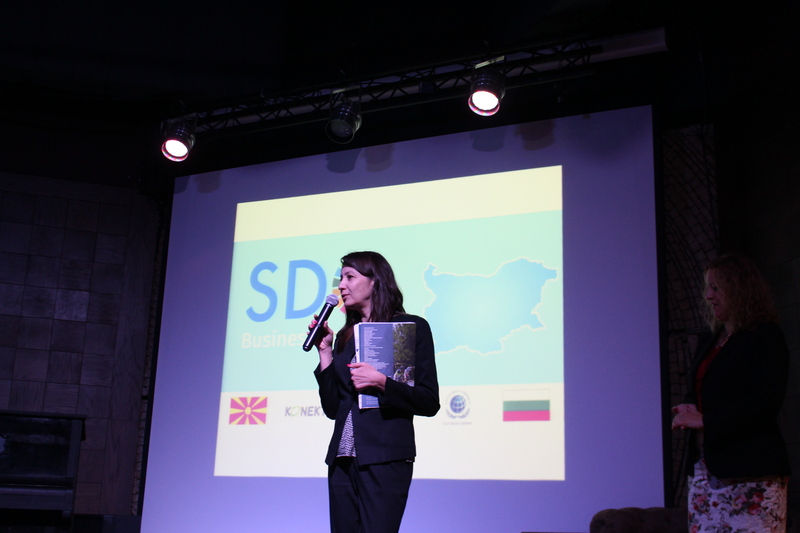 The programme has many supporters and followers‘, said Ognian Trajanov, chairman of the Bulgarian Network. The sign up for participation in ‘Proud of my parents’ work’ project and the Bazaar of professions is now open. 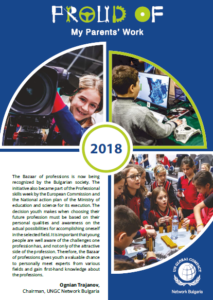 We are pleased to present our new brochure, summarizing the information about the last year’s editions of our initiatives ‘Proud of my parents’ work’ and Bazaar of professions. 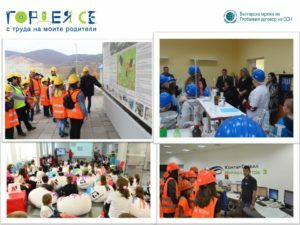 For the last six editions of the open door day initiative, more than 4000 children and students have visited the participating companies and learned more about a vast variety of professions. Nearly 6000 children, teachers and parents have visited the Bazaar during its four editions which have given the chance to a larger audience to meet with experts from a wide spectrum of fields. 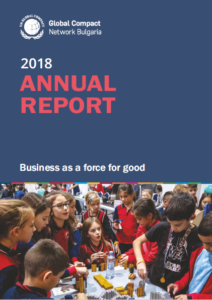 The Bulgarian UN Global Compact Network is pleased to present its annual report presenting all implemented collective programmes and initiatives of the organisation in the past calendar year. that it is a force for good. 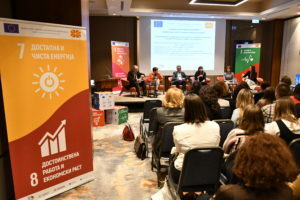 Through our work on the Sustainable development goals and the European Pact for Youth we received recognition for being leaders and visionaries.’, said Ognian Trajanov, Chairman of the Bulgarian Network. In addition to a summary of the project activity of the Network, in the report you will find more information on the events and advocacy campaigns in the past year, as well as a calendar of the forthcoming projects and initiatives planned for 2019. The fourth edition of the Bazaar of professions welcomed 1500 students, teachers and parents. During this year’s event the guests could visit 15 interactive stands, creatively presenting the specifics of different types of jobs. 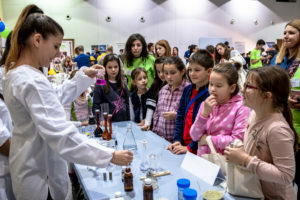 With the help of specialists in their field, children had the chance to learn more about professions such as: geologist, engineer, firefighter, chemist, TV/radio presenter and journalist, etc. What is more, the Bazaar met children with 40 inspiring professionals, coming from the fields of acting, science, music, social entrepreneurship, media, architecture, etc., and learned more about the necessary knowledge and skills one needs to have in order to practice these professions. With each following edition, the Bazaar continues to grow in popularity. It aims at helping youth learn more about the world of professions thus making them better equipped when choosing their future career path. More than 1000 children aged 7-14 took part in the sixth edition of the “Proud of my parents’ work” project. The participating companies, which were 21 this year, presented various professions to their young guests through specially designed games and workshops. With their participation in the open door day event children had the chance to expand their horizons and learn that each one of us, by practicing our distinct profession, plays an essential role for the development of the society. During their visit at the companies, the little guests thought over serious topics such as “What should one do at the present for the world to be better in the future?” – to which they answered that one should study hard and be a good person; that one should protect the environment and be a creative inventor of new tools and technologies. The companies which participated at this year’s edition of the project represented various industries such as mining, energy, light industry, commerce, media, IT, telecommunications, banking, pharmaceutics, logistics and creative industry: A1, Amer Sports Bulgaria, Asarel Medet, Borica, Bulsatcom, Solvay, Doverie-Brico, Dundee Precious Metals, Kontur Global Maritsa Iztok 3, Concordia Bulgaria Foundation, Melexis, Neochim, UBB, Overgas, Postbank, Sopharma Pharmaceuticals, Stomana Industry, TechnoLogica, Transpress and Chaos group. The second edition of the Games for good project was marked by the air of great sportsmanship, adrenaline and the core idea of supporting meaningful causes. 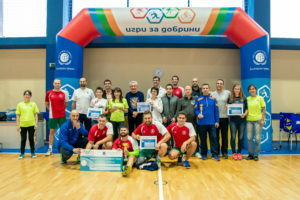 This year the Bulgarian network facilitated four tournaments in the following sports disciplines: football, table tennis, tennis and volleyball. A total of 12 companies and 158 employees were engaged in the separate games. ‘The initiative is great! We hope that next year even more companies will join the Games so they could support their cause, too’, said Kozloduy’s team. ‘Playing a sport in the name of a charity cause is something that really inspires and motivates us’, commented the team of Sopharma. Thanks to the higher number of companies participating this year, we were able to donate 11 500 BGN in support of meaningful causes. 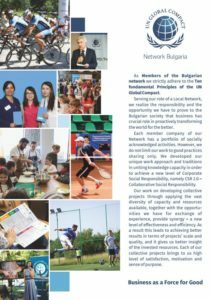 The new brochure contains a presentation of the UN Global Compact and the Bulgarian Network. In it you will also find information on the steps that any interested organization needs to undertake in order to become a member of Global and Local Initiative.